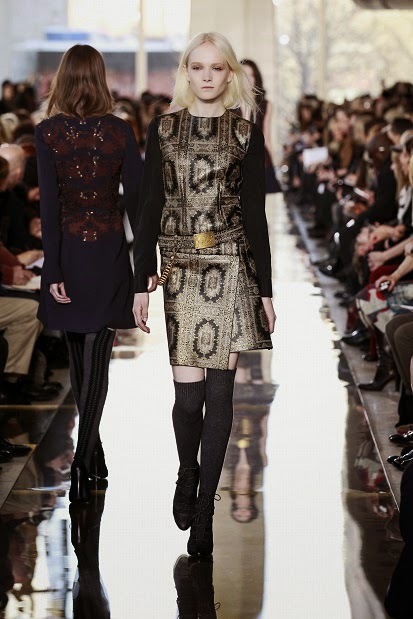 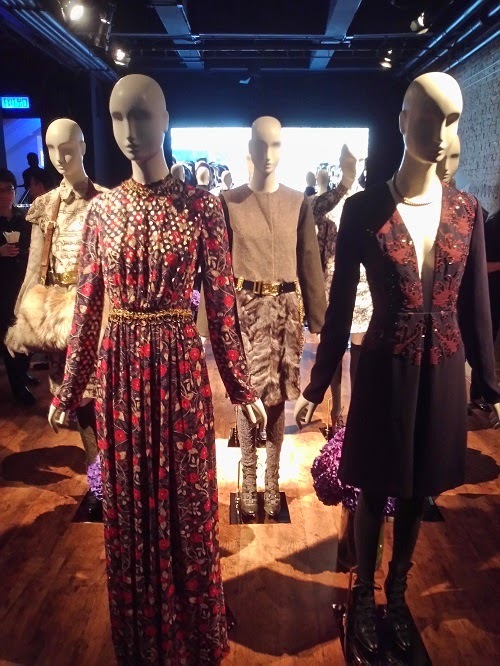 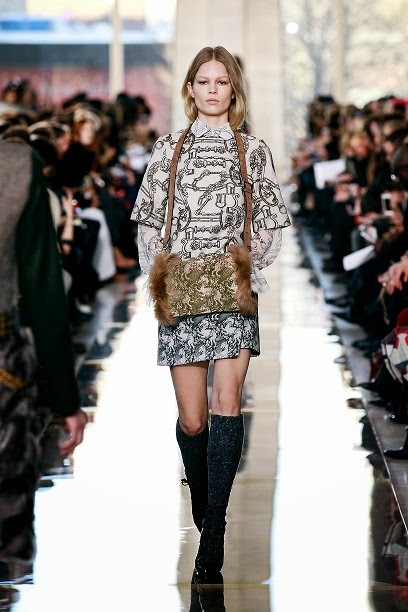 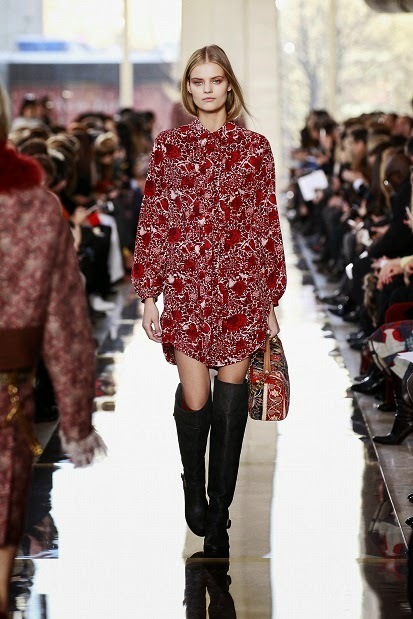 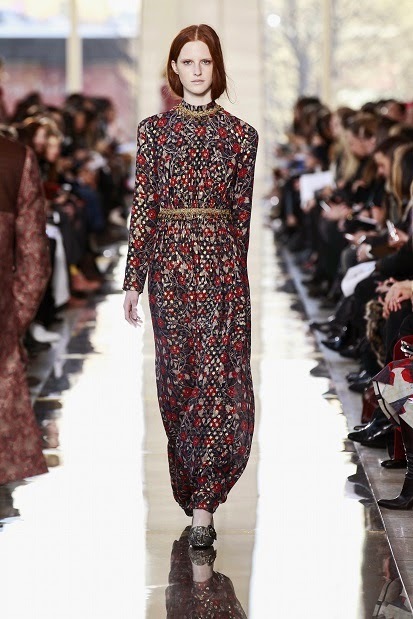 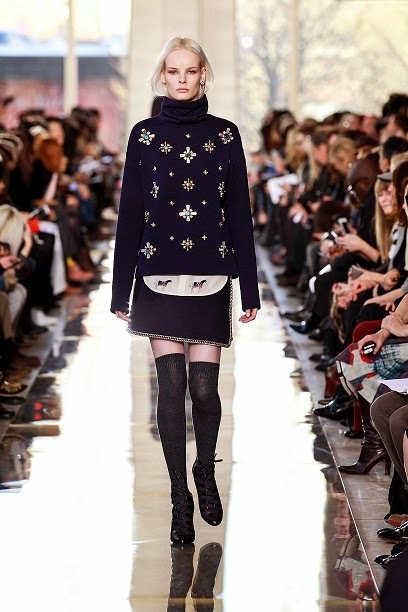 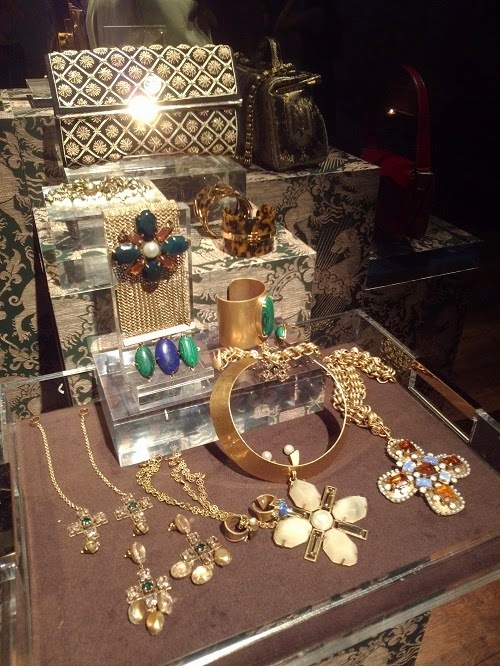 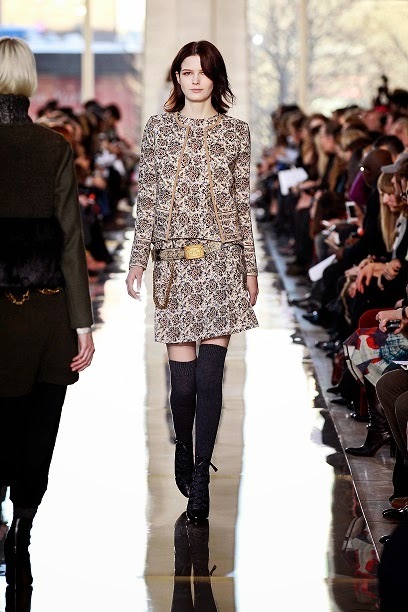 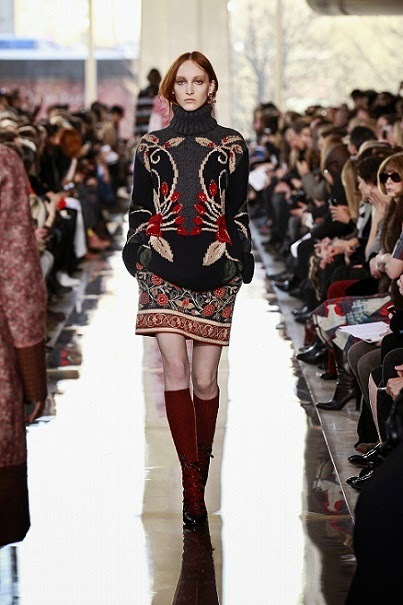 TORY BURCH FW2014 collection inspiration starts with the armor her parents collected. 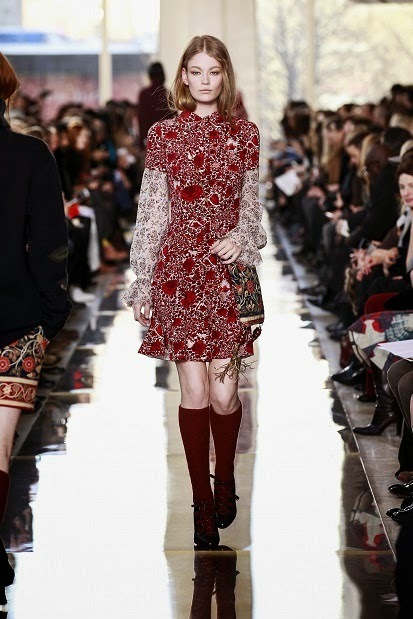 The references are subtle, whether in the mix of textures (woven, quilted, pleated) or in the tapestry brocades and florals. 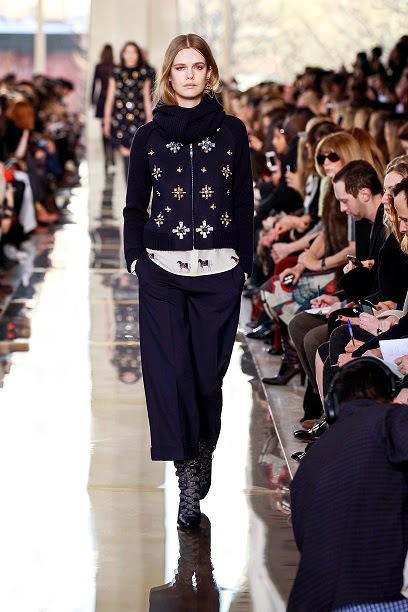 The focus is on clean, strong silhouettes with bold embellishments. 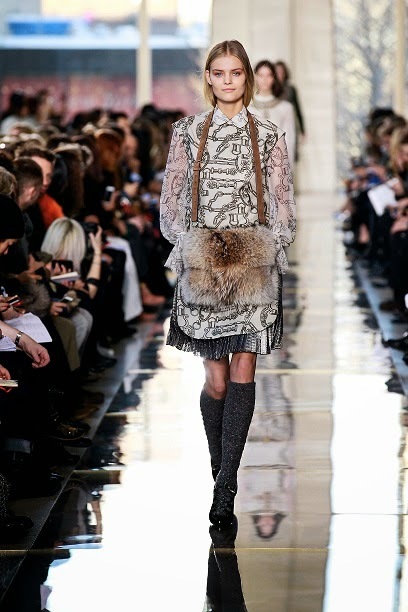 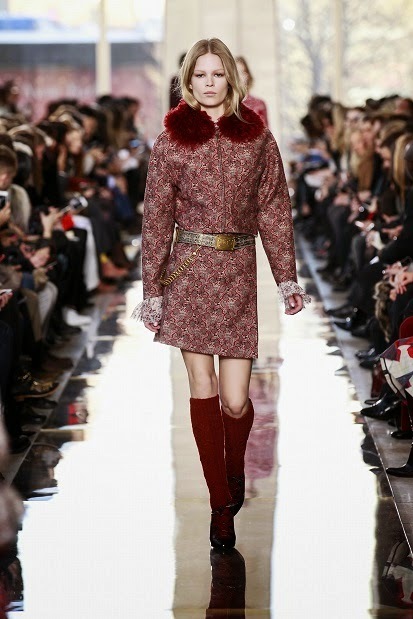 Accessories reflect the mood, belts with chain details, lace-up ghillie heels and muffs.